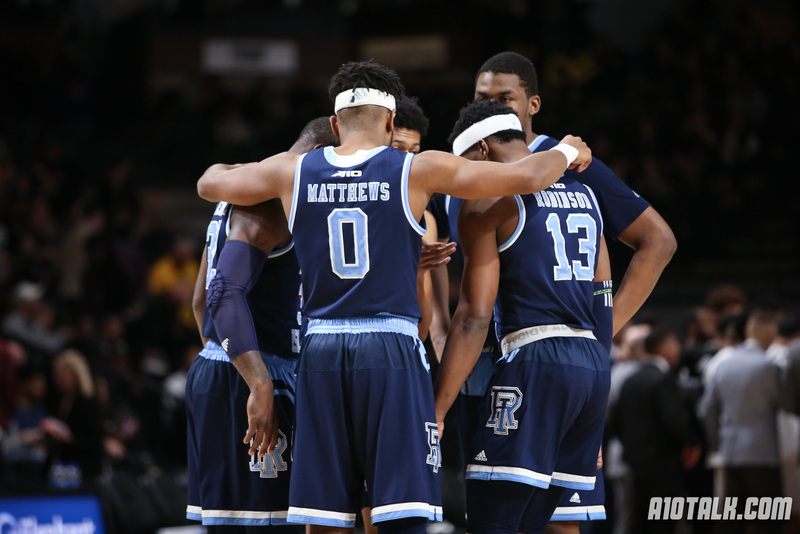 Rhode Island has beaten everyone they needed to, including three victories over RPI Top 50 teams: #21 Seton Hall, #41 Providence, and #24 St. Bonaventure. The Rams also have one of the best backcourts in the country with E.C. Matthews and potential A-10 Player of the Year Jarred Terrell. Add Jeff Dowtin, who could drop 20 at a moment’s notice, and Cyril Langevine and Andre Berry who dominate down low, the Rams could make a deep run in the dance this year. Perhaps, a Sweet 16 or Elite 8 run is on the horizon for Rhody. The stress never ends with Bonaventure fans. Bona fans thought the season was over when Niagara trooped down to Olean and beat the Bonnies 77-75 on opening night. They also thought it was over when Bona lost four of six to begin Atlantic 10 play. However, the Bonnies have recovered from those setbacks and appear to be on the right side of the bubble at the moment. They currently are receiving votes in the AP Poll (29 to be exact), hold an RPI of #24, and are riding an extensive win streak heading into the final week. Every Atlantic 10 basketball fan remembers what happened to Bonaventure in 2016 on Selection Sunday: an RPI of #29, road victories at Dayton and St. Joseph’s, and an overall record of 22-9. What did that get the Bonnies? A #1 Seed in the NIT, followed by a home loss to Wagner in the first round. So, what is different this year? Bonaventure does not have a terrible loss like they did in 2016: the Bonnies lost to an abysmal Siena team in the Franciscan Cup and failed to show up at Tom Gola Arena in a loss to LaSalle. This year’s Bonaventure team has a much better resume. Sure, the Bonnies lost to Niagara at home, but the Purple Eagles are third in the MAAC and could potentially make the NCAA Tournament by winning their conference. SBU has six wins within the RPI Top 100, including a 10-2 Non-Conference Record. Bonaventure defeated #36 Buffalo, #45 Syracuse, #51 Vermont, and #64 Maryland all away from home. They also took care of business at home in the confines of the Riley Center against #8 Rhode Island and #63 Northeastern. An opening round loss in the Atlantic 10 Tournament would crush hopes for a bid… and yes, Bonaventure fans remember the Bonnies blowing an 11-point lead with 8 minutes to go against Davidson at the Barclays Center in 2016. To the Selection Committee, that loss in Brooklyn excluded SBU from the field. Due to the Atlantic 10 being weaker this year, St. Bonaventure probably has to win two games in the Conference Tournament to feel safely in the big dance. If a team such as Davidson were to upset the Bonnies in the conference semi-finals, and then go on to win the A-10 Tournament, the Selection Committee will probably exclude the Bonnies as they will not take three A-10 teams. They have had a great season so far and are riding high on their ten game win streak, but work is left to be done; they have to keep winning to solidify a spot in the field of 68. If they do get in, the dynamic backcourt of potential A-10 Player of the Year Jaylen Adams and Matt Mobley could do some damage. The Atlantic 10 certainly has had a down year this year compared to the past. Typically, the Atlantic 10 sends three to four teams to the NCAA Tournament. This year, the conference will be lucky if it sends two. The reason why Davidson and VCU have a slim chance to dance this year is, aside from Rhode Island and St. Bonaventure, they are the only two other teams with a legitimate chance to cut down the nets at the Conference Tournament in Washington, DC. Davidson has the probable A-10 Rookie of the Year Kellan Grady, tremendous veteran leadership in Peyton Aldridge and Jon Axel Gudmundsson, and a great head coach in Bob McKillop. Davidson’s offense revolves around the three-ball: if they catch fire, they can make a run and win it all in DC. Unfortunately for the Wildcats, bad losses to Appalachian State, Hawaii, and Richmond twice are leaving them out of At-Large conversation. VCU comes into the final week of the regular season with a record of 16-13 and an RPI of #133. Like Davidson, they can only get in if they win the A-10. VCU has one of the better defenses in the conference and certainly one of the better front courts too. Justin Tillman is a monster on the boards and he can get a double-double in almost every game. If bounces go VCU’s way, they too could potentially be cutting the nets in DC. Unfortunately, 10 of the 14 teams in the conference have no chance of making it to the NCAA Tournament. Most of these teams are relatively young with a bright future. Next year, I can certainly see Dayton, Duquesne, Saint Joseph’s, and Saint Louis make some noise down the stretch towards the NCAA Tournament. It’s time to talk about Saint Joseph’s and D.C.
Hey, thanks for jinxing us. “No bad losses”…what about St. Joe’s last night? No bad loss whatsoever for URI? I guess you missed the game last night, they got smoked by St. Joes. Also, St. Bona beat Davidson last night in a 3-OT thriller. Sick blog though. Sorry Rhody fans! Totally jinxed you guys with "not having a bad loss." However, the Rams are still a lock for the Big Dance. Huge win for the Bonnies last night too. Rhode Island has been in the Top 25 for a majority of the year and has dominated most of it's opponents. Last night, was an outlier. Rhody fans would rather have an embarrassment like last night before the post season begins. With that said, I still feel that they can win it all in DC. If they do win it all in DC, I am confident that they will be a 4 or 5 seed. If they do not, they could be a 6 or lower. It all depends on what they do in Charlotte against Davidson Friday night and what happens in DC. Let's say they lose to Davidson and then lose to a team like UMASS in the Quarterfinals of the A10, URI would then be limping in to the tournament on a three game losing streak and probably will find themselves as an 8 or a 9. You really think URI could get as high as a 4 or 5 even with the loss to St. Joe’s? You are awesome, and saved my day! Thank you! All depends on what happens in DC! Go Rhody! How does one become a contributor on this fine blog?